Frank Lindenfeld's conception of a "cooperative commonwealth” has reverberated in my mind since I heard him lay it out in November of 1996. In this essay, honoring Frank's work of keeping alive a human core in a less-than-human world, I explore the notion’s roots and its future potential.2 Since 1842, if not sooner, the notion of a cooperative commonwealth figured in major U.S.- and Canadian-based efforts to build non-capitalist enterprises and a non-capitalist economy. Frank sharpens what I have found to be a deep-rooted idea. Today, its unmistakable echoes seem once again to be sought by global movements like the “Arab spring” and Occupy Wall Street. Were North American iterations of these movements – in our three major languages -- to link up with the oft-forgotten histories of predecessors, they could not avoid the once-widely pursued and still-unfulfilled goal of a cooperative commonwealth. Should we resume its pursuit? In describing the cooperative commonwealth Frank uses the term “social economy” rather than today's (perhaps) more common “solidarity economy.” Yet he articulates the key concepts of solidarity economics. Instead of focusing on the co-op movement alone, Frank lists many kinds of democratic economy initiatives and enterprises that should constitute the cooperative commonwealth: “consumer and worker co-ops, employee owned companies, credit unions, community development loan funds, service credit systems and local barter and service exchange networks”--all potential elements of a connected, cooperative economy. To his list—under the term “solidarity economy”-- we would today add movements for fair trade, local currencies, participatory budgeting, the gift economy, and grassroots elements of labor unions. What constitutes this cooperative commonwealth vision? Frank insists that in cooperative initiatives of all kinds persons, not shares, must be the basic units of voting power--one person/one vote -- instead of one share/one vote. Were all enterprises to effect this change alone, the result would be a vastly different, corporation-free economy. “Cooperatives are political in their very existence,” Frank contends. But the politics he favors aims to codify neither public (state) nor private (capitalist) ownership of the means of production – the dead-end dichotomy on-offer these days. His “third way” is “a cooperatively organized world. It would counter the worker alienation characteristic of both corporate capitalist and state socialist systems.” Frank envisions not a single type of enterprise but “a mixed economy where worker-owned and controlled cooperatives predominate but where there are also small private enterprises as well as public services provided by local or regional governments in such fields as education, transportation, communication, energy production, day care and health care.” Interestingly, he does not call this economy socialist, a point we will return to. To further grasp what a “cooperative commonwealth” might be let’s look at the term “commonwealth” by itself. Straightaway we encounter an ambiguity. What is a commonwealth a commonwealth of? The term means “public welfare...a politically organized community founded for the common good.”3 Here’s how the commonwealth of Massachusetts declared its status: "The body politic is formed by a voluntary association of individuals: it is a social compact, by which the whole people covenants with each citizen, and each citizen with the whole people, that all shall be governed by certain laws for the common good." Notice: there is no mention of nations, states or borders. “Commonwealth” originally invoked a non-state idea of common property, but became synonymous with "republic” – designating a bounded territory in which its laws applied. As “voluntary associations” for the “common good,” commonwealths can exist from micro to global levels. They can be made by individuals, affinity groups, co-ops, provinces or nation-states – given the scale of the cooperation. The “ambiguity” then clearly invokes many types and sizes of entities that are constituted by cooperation. Frank’s idea of a cooperative commonwealth updates long U.S. and Canadian traditions. John Curl’s seminal History of Work Cooperation in America: Co-ops, Unions, Collectivity and Communalism from Early America to the Present4 offers a chronology of the notion. 1822 – Cornelius Blatchly’s “communities of equals” was a precursor. Blatchly, a New York physician and a Quaker, asserted, in An Essay on Common Wealth (1822), society's right to withdraw its "gift" of private property and to restore "natural equality” in "pure communities" where cooperation replaces competition. Starting small and spreading, as the present obsolete society fades, “a new America” would result. (Curl, p. 28-29)5 The essay introduced the ideas of Robert Owen (1771-1858), a freethinking Welch “utopian socialist” reformer. Owen had coined the term “socialism” to describe the communalist movement’s goal. Blatchly invited Owen to the U.S.
1841 -- Brook Farm was the first explicit case in the U.S. Ten miles from Boston, this effort “to form a cooperative commonwealth,” was patterned after the ideas of Charles Fourier (1772-1837)8 and also influenced by the New England Transcendentalists. At Book Farm, profits were shared based on work done. 1844 -- Curl says “the cooperative commonwealth” was among aims of the Rochdale Equitable Pioneers’ Society. The 30 Pioneers declared: “as soon as practicable this Society shall proceed to arrange the powers of production, distribution, education and government; or in other words, to establish a self-supporting Home colony of united interests or assist other Societies in establishing such colonies." (Quoted by Curl, p.75) Frank concludes they sought “a worker-controlled economy.” (p.5)9 By 1854 there were 1,000 such consumer co-ops across England. 1845 --Less than a year after Rochdale, as U.S. prices rose, the Working Men's Protective Union in Boston launched the first major U.S. "consumer" co-op movement. By 1847 Union stores had over 3000 members in New England. Where Rochdale sold at near market prices, periodically “rebating” savings to members, Union “divisions” bought wholesale and sold at near cost to members. Production and service co-ops were added. By 1857 there were over 800 Union “divisions” in New England, New York, Michigan, Wisconsin, Illinois and Canada. 1866 -- The National Labor Union (NLU), a loose but coast-to-coast U.S. federation of labor unions and affiliated cooperatives, resolved at its founding meeting in Baltimore "that in cooperation we recognize a sure and lasting remedy for the abuses of the present industrial system, and hail with delight the organization of cooperative stores and workshops in this country, and would urge their promotion in every sector of the country and in every branch of business." (Curl, p. 62) The National Colored Labor Union at the same time, led by Frederick Douglass, Isaac Myers and others, backed worker cooperatives for black people to remedy racist exclusion from skilled trades. The NCLU joined the NLU in 1867. Co-ops were taking hold in black communities nationally. In Baltimore, black people ran cooperative stores, coal yards and small industries. 1869 -- The Knights of Labor were the high point of the combined U.S. worker cooperative and union movements in the 19th century.10 “Their plan,” Curl recounts, “was to destroy the capitalist money-power and transform the country into what they called a ‘cooperative commonwealth,’ in which the promises of our [U.S.] founding documents, promises of equality, liberty, freedom and democracy, could at last become living reality.” At their open national convention in 1878 they declared as goal "to establish co-operative institutions such as will tend to supersede the wage-system, by the introduction of a cooperative industrial system."(p. 75-76) This idea “arose autochthonously in America, parallel to simultaneous growth of the socialist movement, to which it was conceptually interrelated.”11 The Knights swelled to nearly a million in 1886 (p.102). Their almost 200 worker co-ops prefigured an alternative economy. 1905 –The International Workers of the World, or “Wobblies,” were and are an international union. At its founding convention in Chicago, trade unionists from all over the country declared “…the growth and development of this organization will build up within itself the structure of an Industrial Democracy—a Workers’ Co-Operative Republic—which must finally burst the shell of capitalist government, and be the agency by which the working people will operate the industries, and appropriate the products to themselves.”14 It was the first U.S. labor organization to explicitly include all working people – women, people of color, farm workers, immigrants – in “one big union.” “By organizing industrially,” they said, “we are forming the structure of the new society within the shell of the old.”  This still-widely-held vision is, therefore, not new. 1932 -- Canada’s Co-operative Commonwealth Federation (CCF), at its 1933 convention in Regina, Saskatchewan, adopted such goals as: public ownership of key industries; universal pensions; universal health care; unemployment insurance; workers compensation. It said "No CCF Government will rest content until it has eradicated capitalism and put into operation the full program of socialized planning which will lead to the establishment in Canada of the Co-operative Commonwealth." The CCF became Canada’s largest left-wing party and continues as the New Democratic Party. 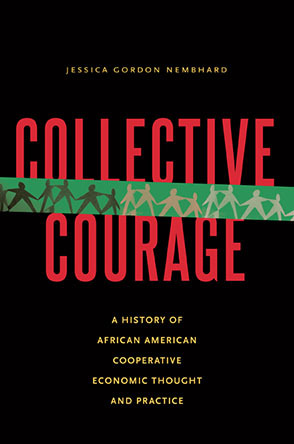 1.Our review allows us to appreciate Frank’s insight that, even if “the struggle to establish cooperatives” is local, it is inseparable from the task of transforming “the entire society” into “the cooperative commonwealth.” Further: if Marx is right to say that even under capitalism, cooperative labor evinces a distinctly “human power,” then its optimal use requires worker control of such labor and liberation from control by capital. Such a commonwealth is not just a good idea. It appears as the telos even of cooperative labor as source of capital. Coming back to restrain that labor, capital is a tether to be broken. 2. U.S. co-op history reveals a class struggle downplayed by its capitalist victors. Merchant and banker-led price wars and credit squeezes killed early consumer co-ops. Usurious Wall Street interest rates did in the NLU co-ops. The Knights of Labor and Farmers’ Alliance co-ops didn’t survive anarchist-smear campaigns after the Haymarket riots. The Palmer raids’ “red scare” marginalized the IWW. And on joining the Democratic Party, Minnesota’s Farmer-Labor Party dropped the “cooperative commonwealth” goal. These defeats cut the moving picture of workers’ and farmers’ struggles into snapshots. As capital reigns, they keep re-inventing themselves from zero. Advancing means re-connecting many frustrated and renewed efforts at a cooperative commonwealth. Shouldering that task can turn past defeats into sources of inventions around future obstacles. 4. In resisting “the wage system” unions and cooperatives strengthened each other. As it eclipsed the IWW, the American Federation of Labor, relented in that system, breaking with the co-op movement. Re-connecting labor and co-op movements can again strengthen each. In Franks’ terms, a post-capitalist cooperative commonwealth must be built “on two feet”: cooperatives and unions can’t make a “commonwealth” without re-uniting, but political power is needed to greatly expand the space for that reunion. Frank calls for “a people’s movement to democratize the economy.” It would “limit the power and privileges of transnational corporations, and link up with similar movements throughout the globe.” (p.15) As for U.S. folks: “we could indeed transform the U.S. into a cooperative commonwealth.” In 2012, as if to fulfill Frank’s hope, movements from the Zapatistas to the “Arab Spring” to “the 99%” have engaged cooperatives and the solidarity economy in liberating cooperative labor from its repression by capital. Only now is this task taking shape. As it is taken up -- spanning vast cultural and linguistic differences -- its goal, still indeterminate, reveals itself. We U.S. folks can use Frank’s notion of the “cooperative commonwealth” to re-remember our own history. It is a tool ready-to-hand whose use would allow us to join in the global struggle underway. 1 Remembering: A Phenomenological Study (Evanston: Northwestern University Press, 1987), p. 279. 2 See Frank’s full presidential address to the Association of Humanist Sociology, in this issue of GEO. 3 Webster's New International Dictionary, 2nd ed. 5 Letter of Thomas Jefferson To Cornelius Camden Blatchly. Monticello, October 21, 1822. “Sir. I return thanks for the pamphlet you have been so kind as to send me on the subject of commonwealths. Its moral principles merit entire approbation, its philanthropy especially, and its views of the equal rights of man. That, on the principle of a communion of property, small societies may exist in habits of virtue, order, industry, and peace, and consequently in a state of as much happiness as Heaven has been pleased to deal out to imperfect humanity, I can readily conceive, and indeed, have seen its proofs in various small societies which have been constituted on that principle. But I do not feel authorized to conclude from these that an extended society, like that of the United States, or of an individual State, could be governed happily on the same principle….” http://libertarian-labyrinth.blogspot.com/2006/11/cornelius-c-blatchly-miscellany.html Note that by “commonwealths” Jefferson means entities whose members are individuals who together hold common property. 7 Robert Owen, Lecture to Mechanics Institute, London, March 30, 1840. 8 Herbert Baxter Adams, an early historian of U.S. co-ops, in his History of Cooperation in the United States, (Baltimore: Johns Hopkins University Press,1888), p. 17. 9 Rochdale came after Brook Farm: did the Yanks pursue a cooperative commonwealth before the Brits? 10Frank rightly says they pursued a “cooperative commonwealth,” but cites no sources. 11 John Curl, “The Cooperative Movement in Century 21,” Affinities: A Journal of Radical Theory, Culture, and Action, Volume 4, Number 1, Summer 2010, p. 16. 13 The Co-operative Commonwealth in its Outlines, An Exposition of Modern Socialism. (London: Swan Sonnenschein & Co., 1896), p. ix. This work is in the public domain and downloadable gratis. 15 Thomas O’Connell, “Toward the Cooperative Commonwealth: An Introductory History of the Farmer-Labor Movement in Minnesota (1917-1948) Ph.D. Dissertation 1979, http://justcomm.org/fla-hist.htm p. 9. See also: Cooperative Commonwealth: Co-Ops in Rural Minnesota, 1859-1939 , Steven J. Keillor.